Adam Driver has done quite well for himself in his second career. Driver was disappointed to find himself a civilian again just three years after he became a Marine after the Sept. 11 terrorist attacks. He was forced out of the Corps as a lance corporal following injuries he sustained during a mountain biking accident. But Driver’s post-Corps career has been anything but unsuccessful. He’s now a professional actor, with roles in “Girls” and the new “Star Wars” movie. 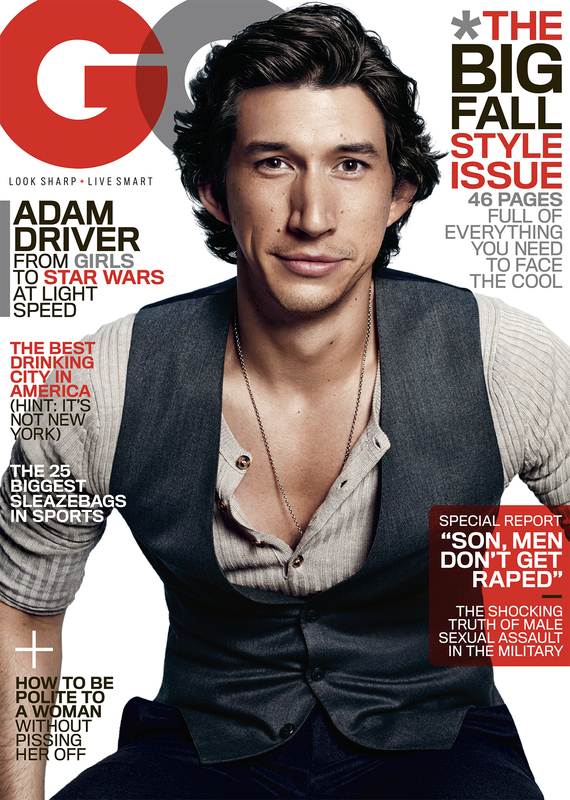 He’s also appearing on the cover of the September edition of GQ magazine. Driver applies the discipline acquired in the military to everything he does, from the quotidian details of existence to his work. Driver has a role in the next “Star Wars” movie, and he reportedly plays a villain (those involved with the movie are secretive about who Driver plays in the film). My colleague Jon R. Anderson profiled Driver in June. He pressed the actor on his thoughts on evil roles and got this great back-and-forth exchange about how to make a bad guy on the screen seem real. Ask Driver who his favorite villain is, and he suddenly gets cagey. Ask him to describe any villain that he’s played to date and he takes even longer. Driver’s story in GQ came with a cover shoot. The Klieg lights might be bleaching out the salty habits ingrained into Driver from his Marine Corps days — he’s actually smiling in a few of the photos, a departure from the SOP of official military portraits. Also worth noting: There’s a report about male sexual assault in the military in the same edition.